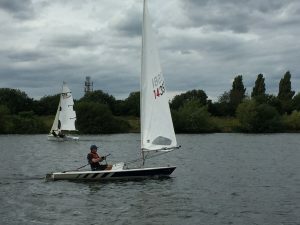 Race 1 saw the second tie of the series between Jon Adams and Paul Jago with Kevin Last third. 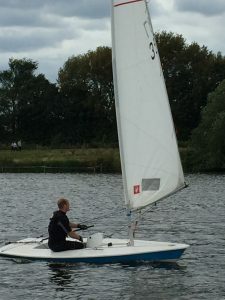 Mike Pritchard leads overall from Paul and Kevin. 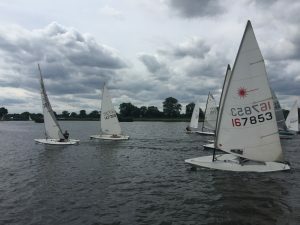 Race 2 saw the fast and slow fleets battle it out in gusty conditions. 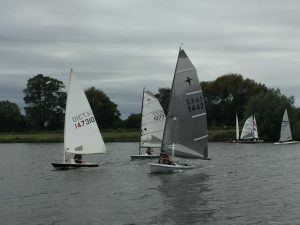 The slow fleet was won by Kevin Last from Bob Cuerstemont and Dave Bexson. Kevin and Bob lead overall with Kevin Milton third. 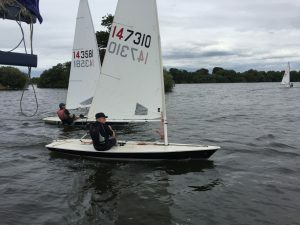 The slow fleet was won by Ray Kemish from Jill Reid and Richard Baker from Wanlip; Paul Jago was winning overall until gear failure forced his retirement. 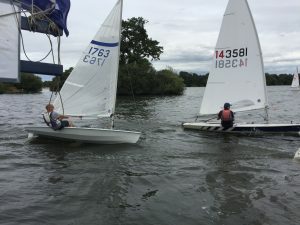 Mike Pritchard leads overall from Paul and Ray.